That Ultra Freaky Doug Jones Puppet In Gehenna! There’s a cool little indie horror flick wrappin’ up production right now called Gehenna and from what’s been revealed thus far it’s looking like it’s going to be quite a spectacle! Directed by effects wizard/master sculptor Hiroshi Katagiri who’s worked on movies like Pacific Rim, Looper & The Hunger Games comes this full on practical fx driven horror flick. Doug Jones masters his personal puppet! “A group visits Saipan to search for locations for their company’s newest resort. As they find what they think is the perfect spot, they discover a hidden bunker on the property which they decide to explore. However, they soon find out that curiosity can kill. Keep your eyes peeled on this one as it looks like it’s going to be pretty awesome and follow it on Facebook here! Harbinger Down: The Real Prequel to “The Thing”!! I just checked out the long awaited trailer for a movie I’ve been pumped about for quite some time time now, Harbinger Down! If you follow my blog at all you’ve probably heard me complaining a lot about CGI and how there aren’t nearly enough movies these days that utilize rad practical monster effects like they used to back in the 1980’s. Well Alec Gillis at Studio ADI announced a while back that he planned on making a full on monster movie utilizing all practical effects only using CG to eliminate things like rods or wires. You see a while back they made a prequel to the classic John Carpenter Monster flick “The Thing” and Gillis and his crew were hired to do the special effects, they were told to use all practical monster effects to keep the same vibe as the 1982 classic. They went hard to work and filmed much of the movie with the effects but at the last minute the studio changed their mind, and CG’d over all of there work, claiming that people these days like their movies to look more like modern video games. The movie was bashed by fans of the original and did little at the box office. So here is Alec Gillis’ response to what happened to them, a movie that bears some resemblance to the premise of The Thing, as if him and his crew is giving the fans the movie that they were hoping for in The Thing prequel. So take a look at the trailer, this one is on the top of my list!! So what if you could have a wrestling tournament set up with all your favorite monsters going head to head televised from an abandoned graveyard?? 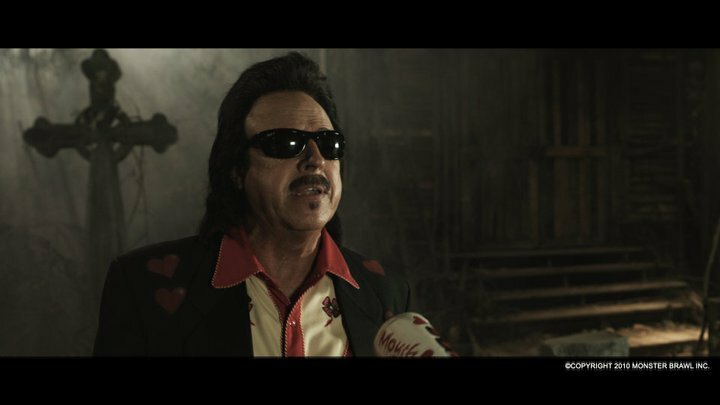 Well wait no longer folks because the upcoming horror comedy “Monster Brawl” plans to give you that exact scenario delivered to the comfort of your own home! Enter eight of your favorite classic movie monsters and here you have it a fight to the death on pay-per-view. I am not sure exactly how this plot unfolds and why these movie monsters are participating in the first place but it’s already sounding like alot of fun. I stumbled upon this movie preview while searching for the trailer for a movie called “Primal” which will be showing soon at the H.P. Lovecraft film festival here in Portland Oregon in October. What I ended up finding was a movie by the same name that looks even better than the one being shown at the festival! Now it seems also that any movie now day that’s got a guy in a furry suit will have to star Lance Henrickson (Abominable, Sasquatch, Sasquatch Mountain)-what gives Lance? Why you so damn obsessed with Bigfoot and Chaka? 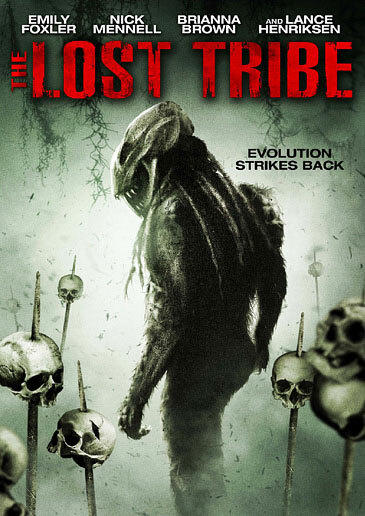 Apparently the movie is now going by the name “The Lost Tribe” and will be released October 19th. From the looks of it it seems that Chaka from Land of the Lost just got seriously pissed off check this out!